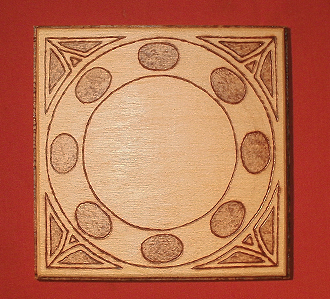 Celtic coaster design burnt using pyrography and painted by hand for placing your glasses, cups and mugs onto. 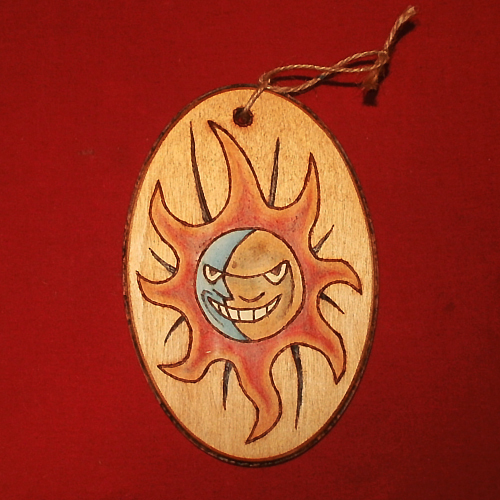 Coaster design burnt and painted by hand with skratch proof varnish for your glasses, cups or mugs. 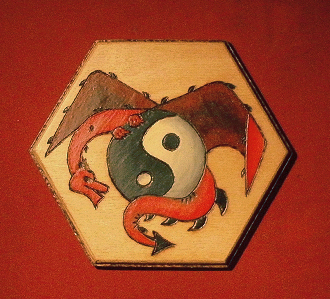 Drinking coaster burnt and painted by hand with a landing red dragon. 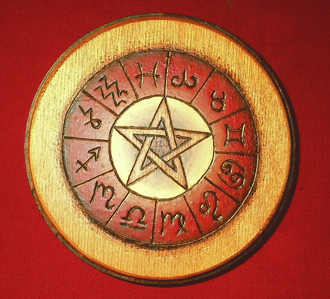 Drinking coaster with a circular pattern of the star signs. 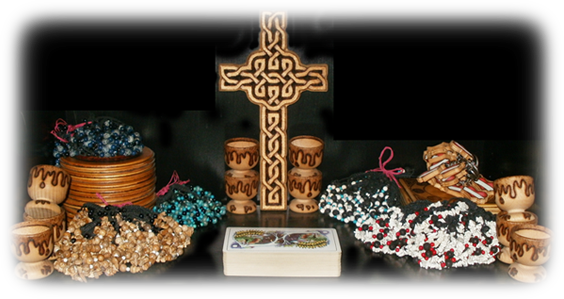 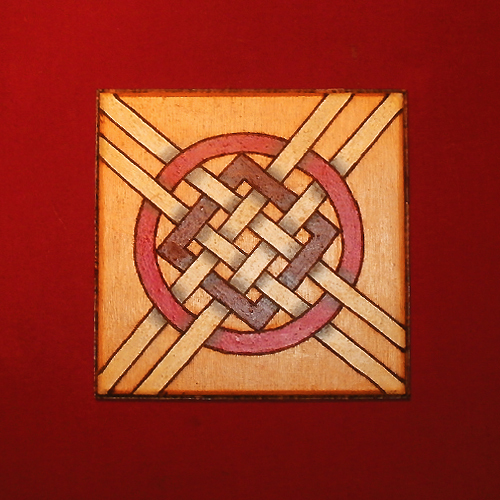 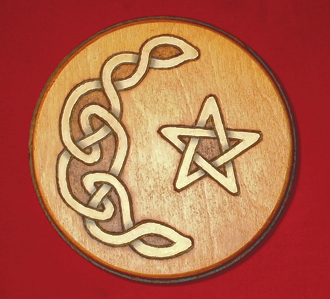 Drinking coaster with a celtic pattern of a knot. 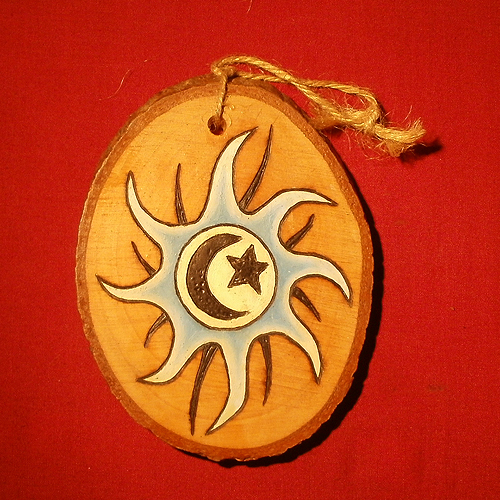 Hang-up decoration sketched on wood and burnt on with Pyrography and protected with varnish. 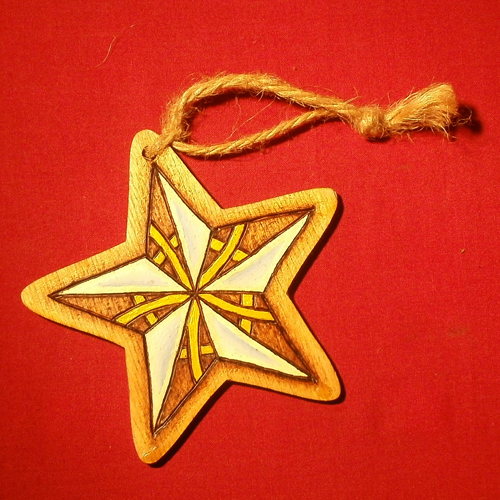 Hang-up decoration sketched on wood and burnt on with Pyrography, hand-painted and protected with varnish. 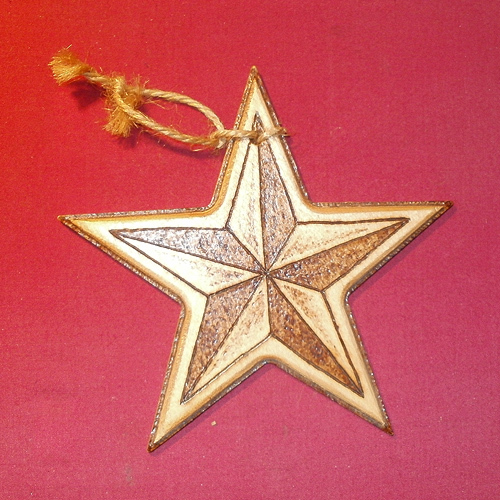 Caught star by pyrography and finished with varnish. 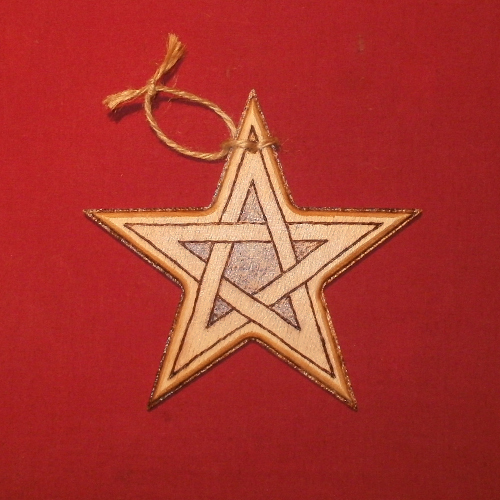 Coloured 5 pointed star made on wood with swirls done in pyrography with varnish. 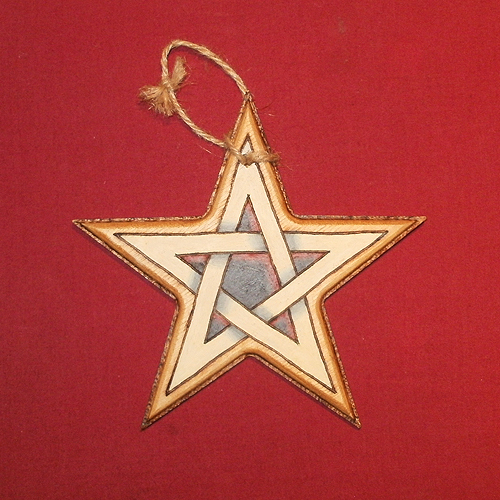 Moon and a star together make up this painting protected with varnish. 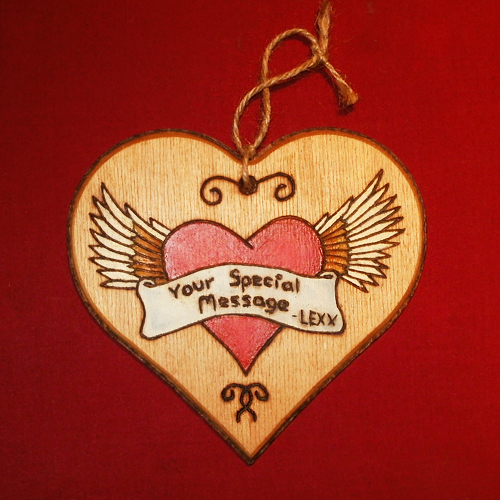 Hang-up decoration burnt on wood with Pyrography, hand-painted with a custom message of your choice under a protected varnish. 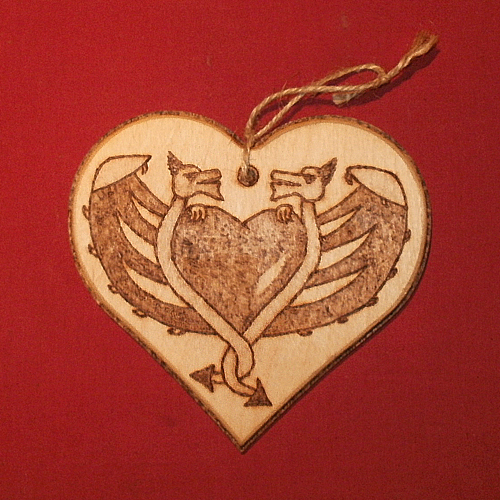 Hang-up decoration burnt on wood with Pyrography as two dragons and a heart without any varnish. 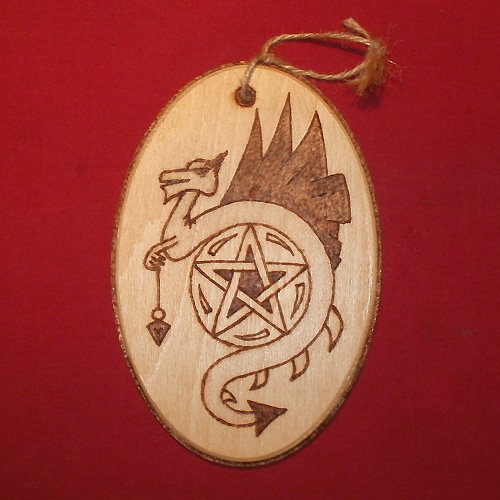 Hang-up decoration burnt on wood with Pyrography as a dragon landed onto a peace sign with varnish. 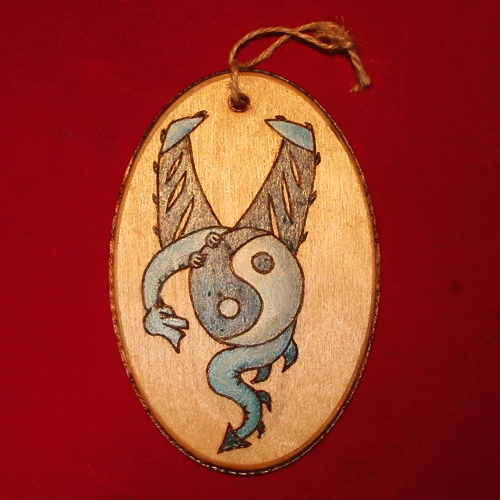 Hang-up decoration burnt on wood and painted as a dragon landed onto a peace sign with protective varnish. 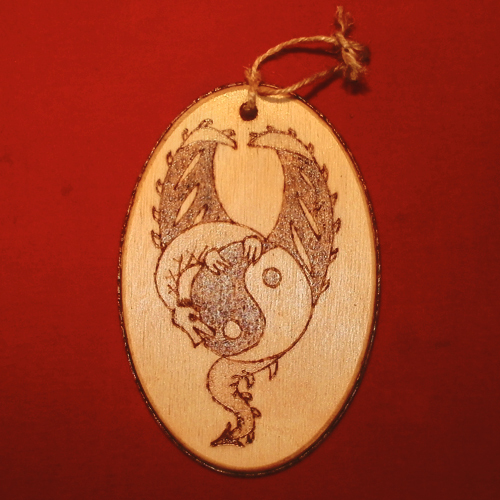 Hang-up decoration burnt on wood as a dragon and pendant that has no varnish. 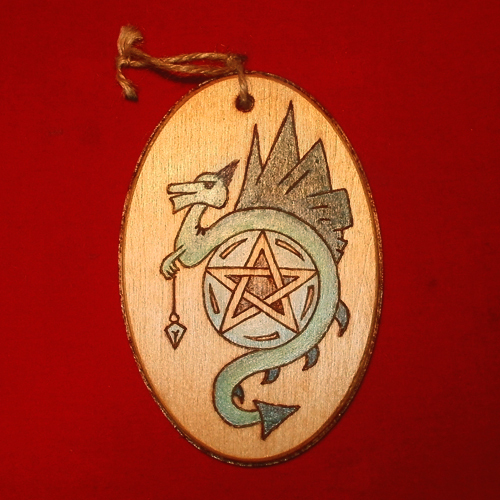 Hang-up decoration burnt on wood and painted as a dragon and pendant under protective varnish. 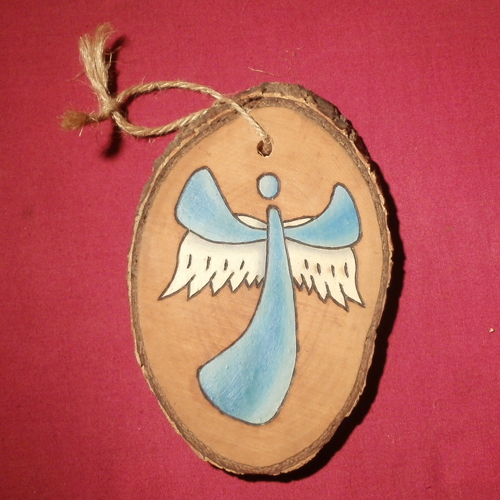 Blue angel in pyrography with varnish. 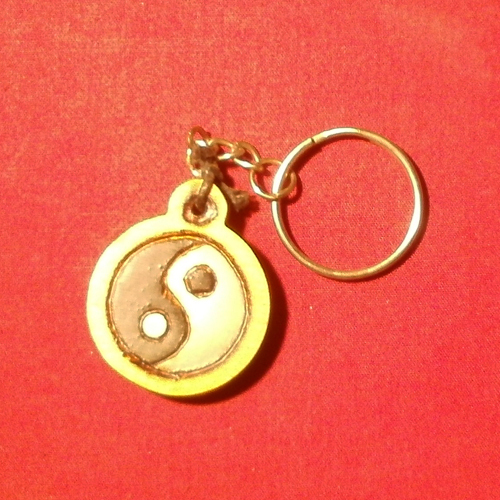 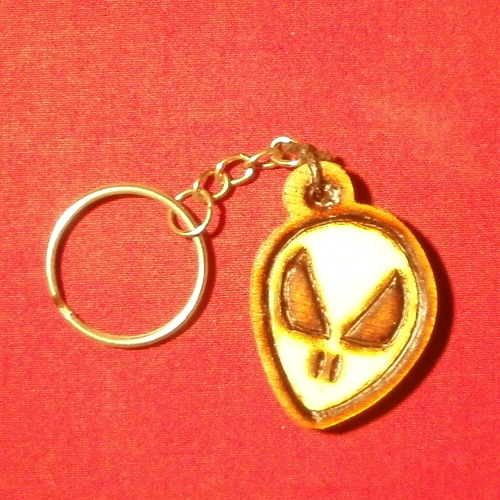 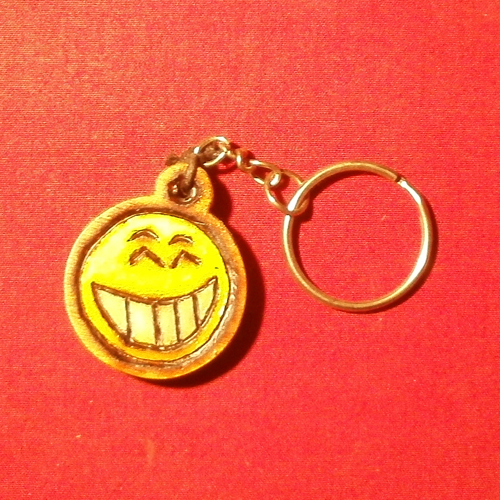 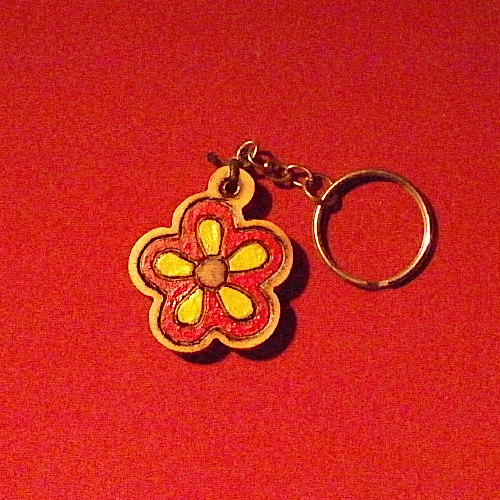 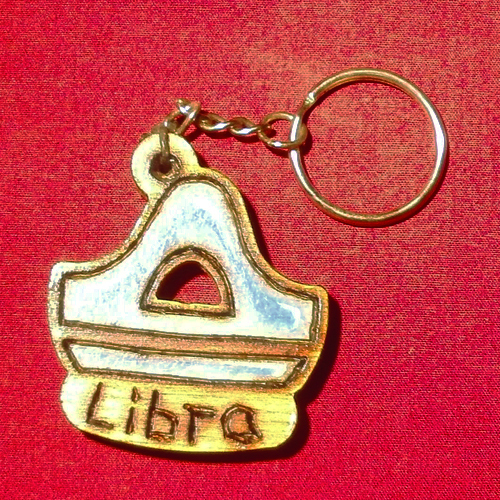 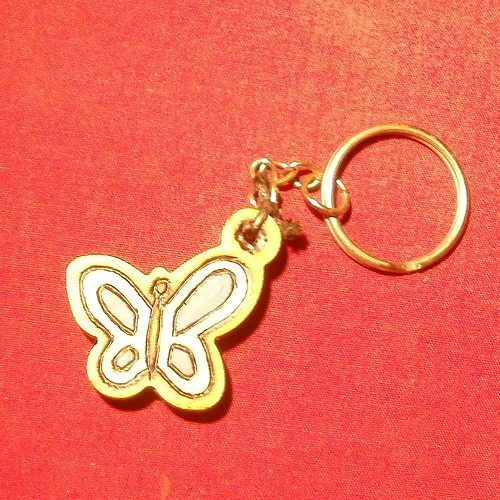 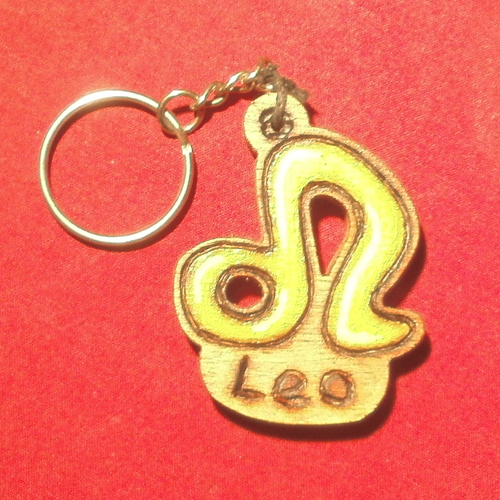 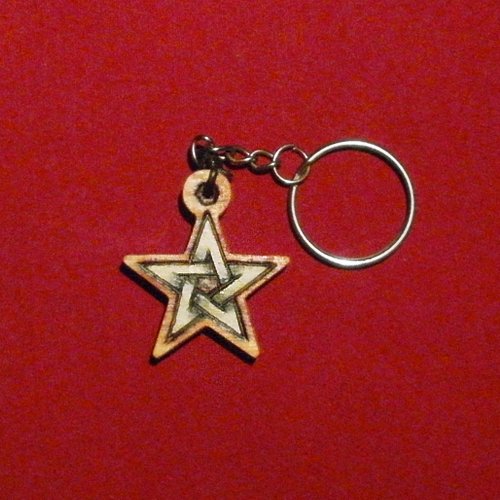 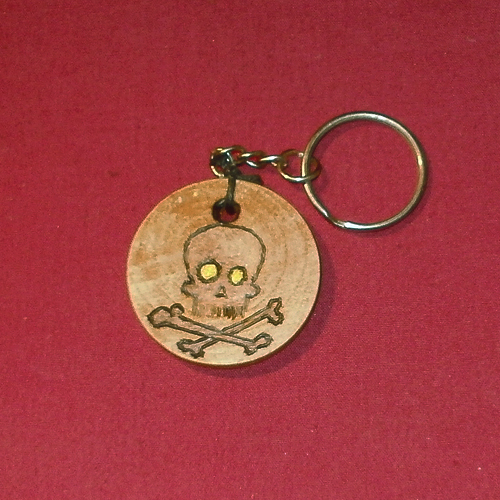 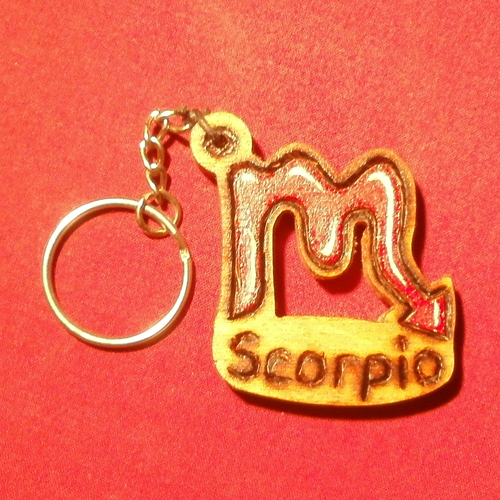 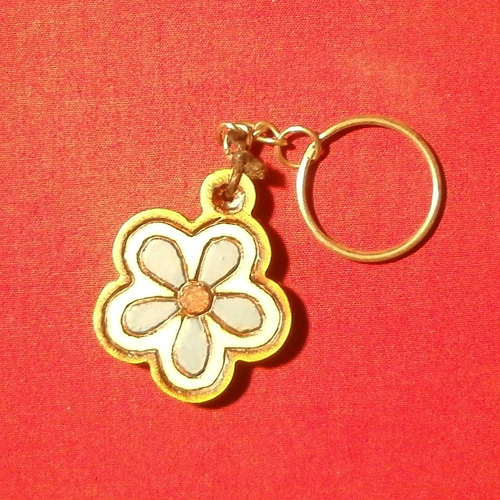 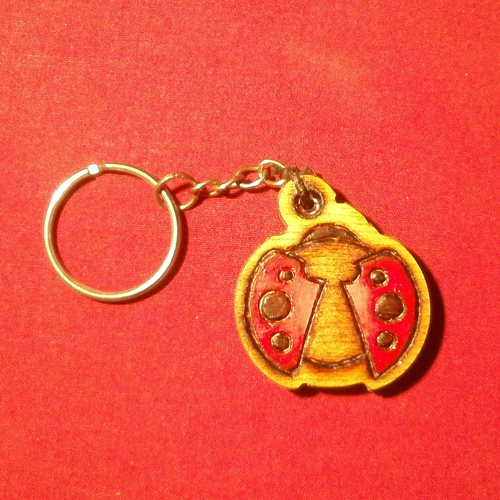 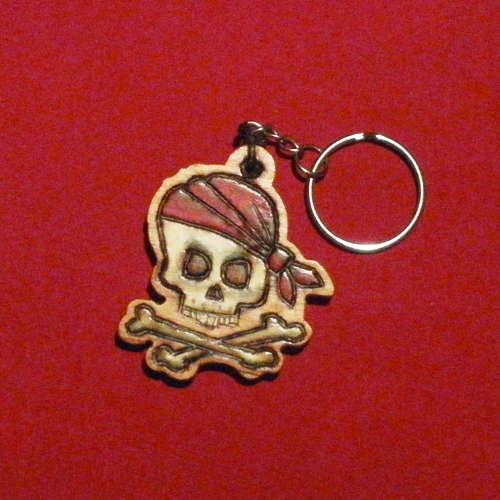 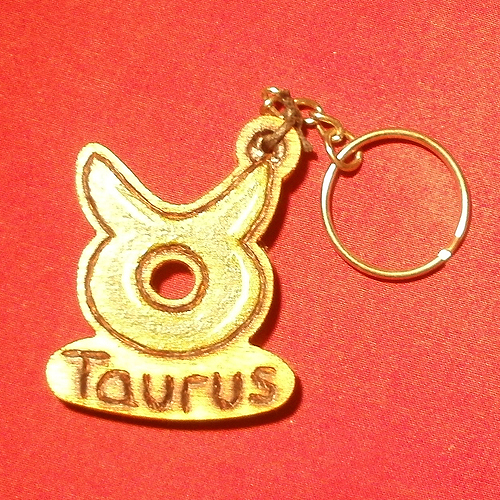 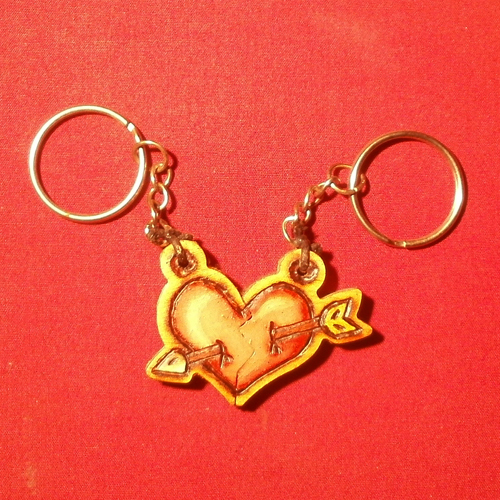 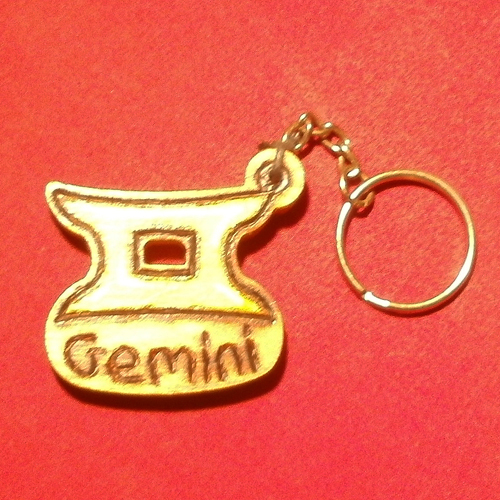 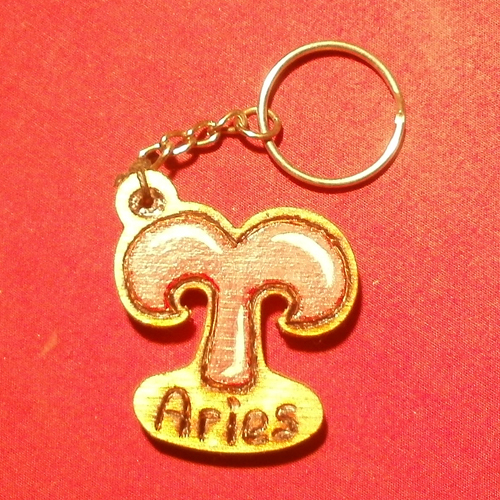 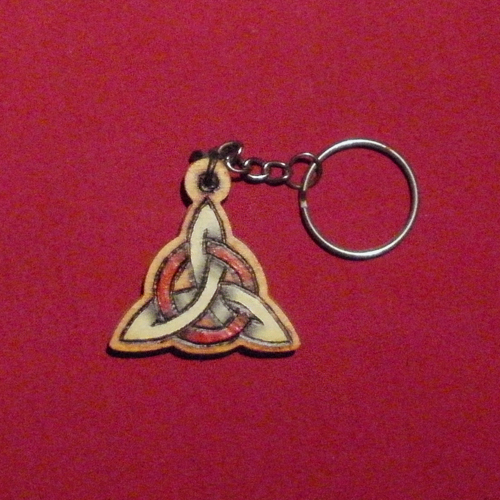 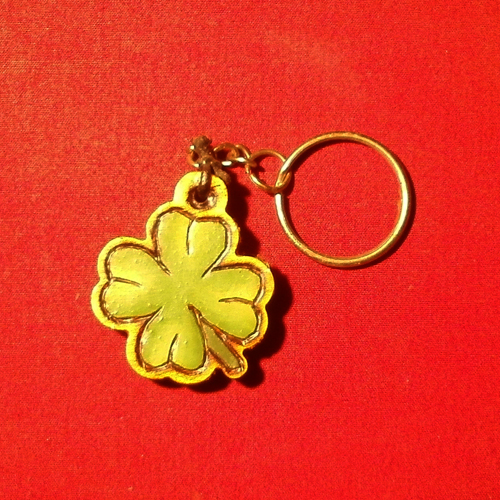 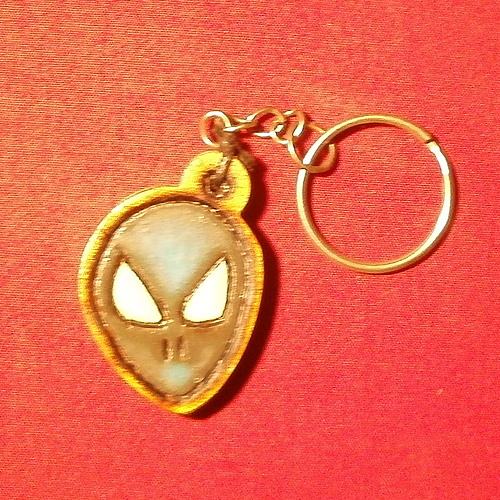 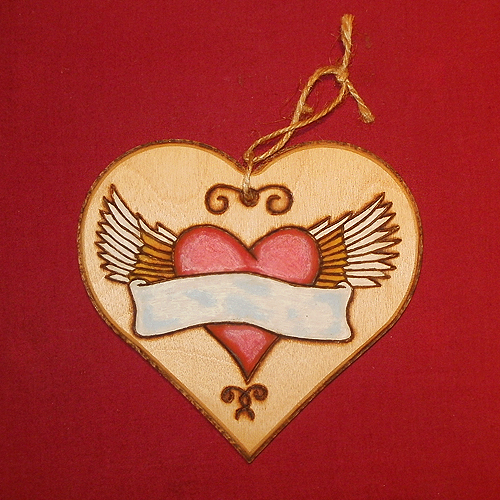 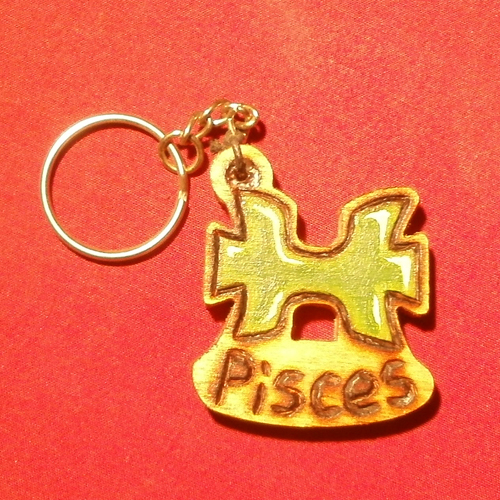 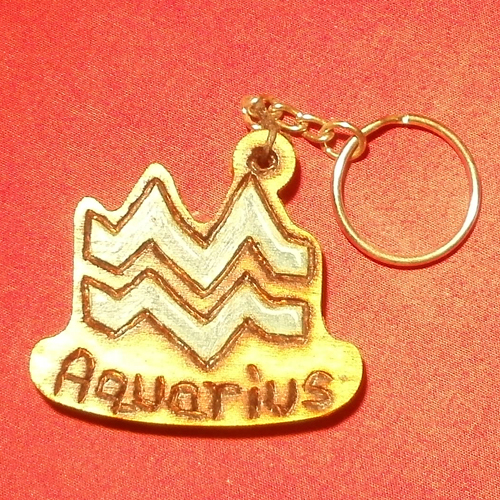 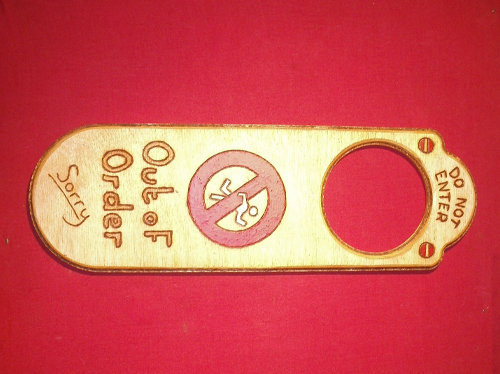 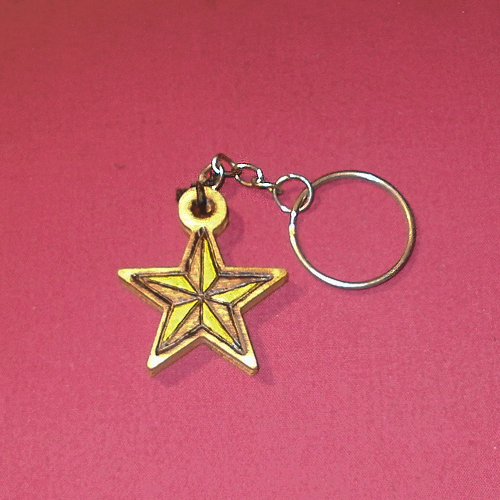 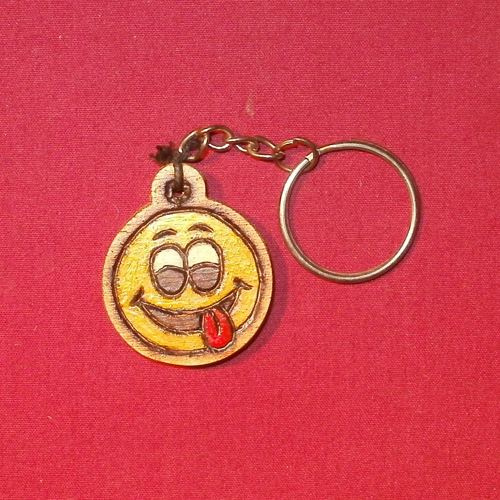 Key-ring created using Pyrography, also hand-painted and finished with a protective varnish. 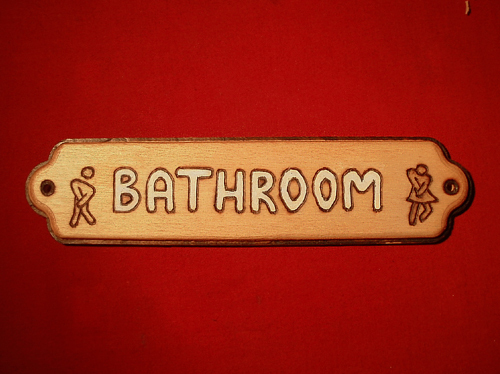 Bathroom in Pyrography, this sign has been made with paint and finished with varnish. 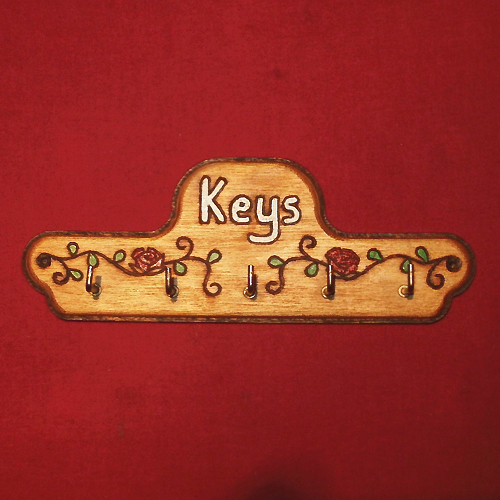 Private in Pyrography, this sign has been made with paint and finished with varnish. 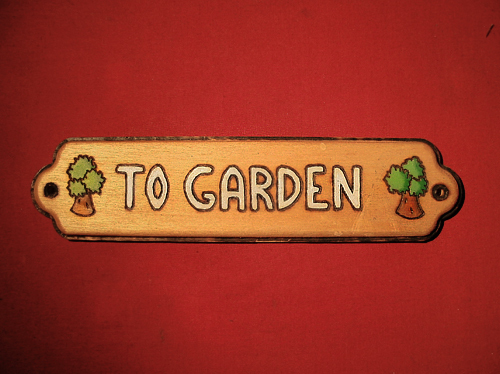 To Garden Pyrography, this sign has been made with paint and finished with varnish. 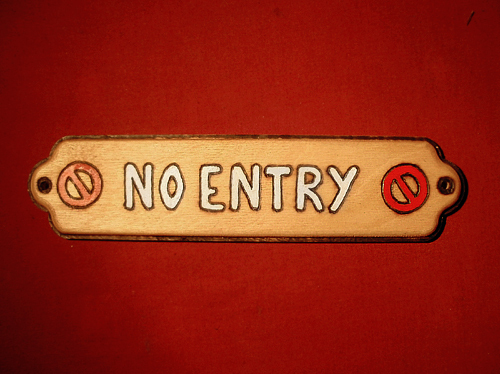 No Entry in Pyrography, this sign has been made with paint and finished with varnish. 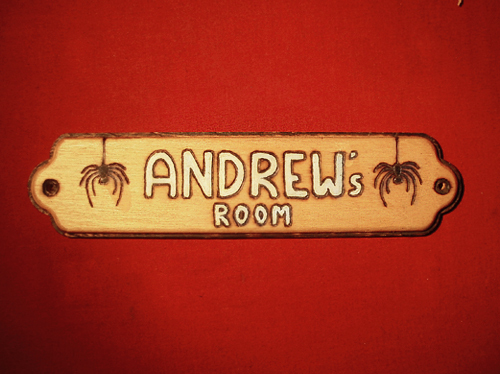 Andrew's Room in Pyrography, this sign has been made with paint and finished with varnish. 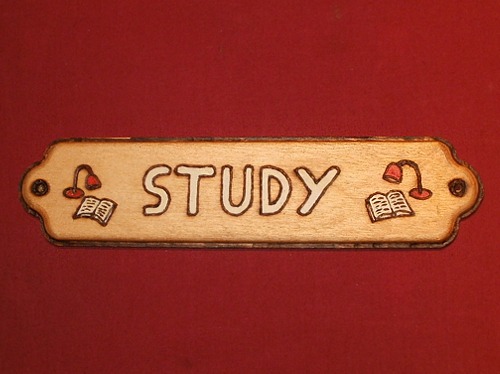 Study room sign in Pyrography, this sign has been made with paint and finished with varnish. 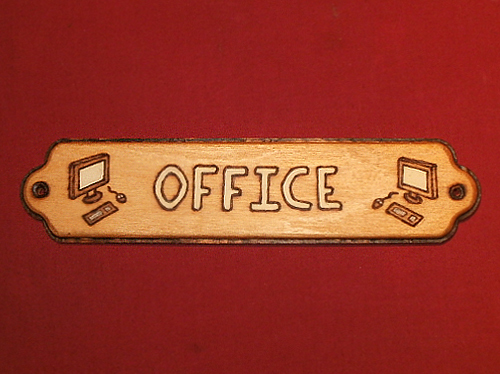 Office room sign in Pyrography, this sign has been made with paint. 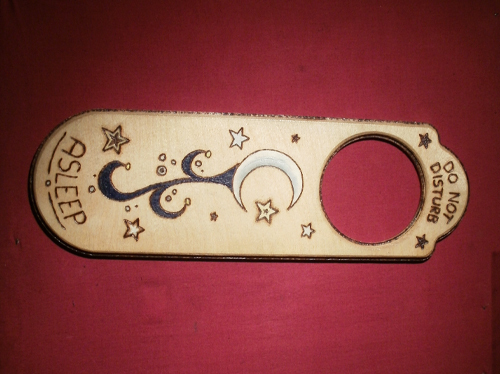 Hanger for a door done in pyrography with varnish and paint to complete it. 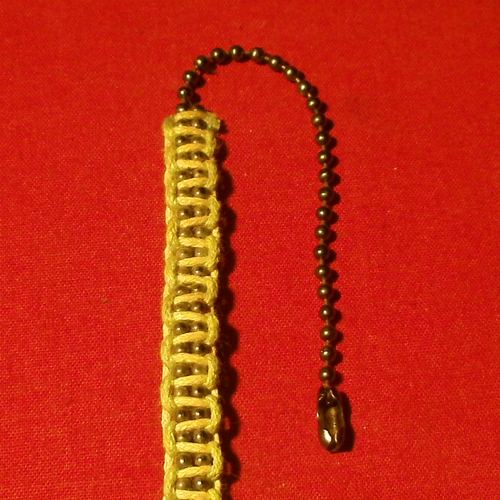 Green fabric and gun metal ball chain knot bracelet. 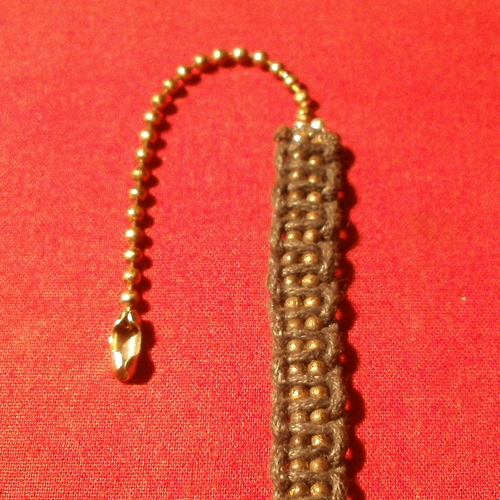 Black fabric and silver ball chain knot bracelet. 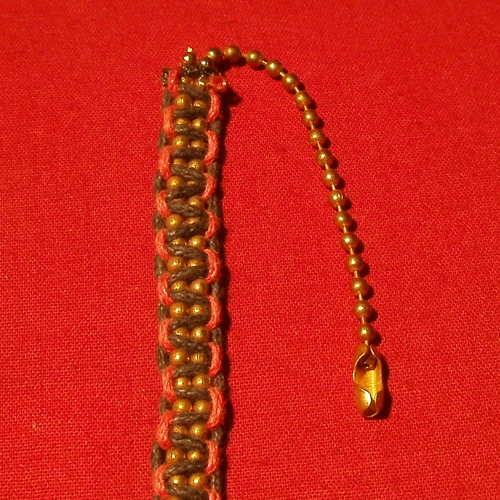 Pink and black fabric with gold ball chain knot bracelet. 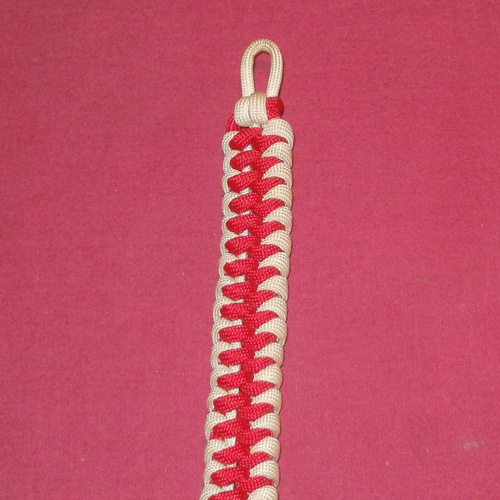 Red and white fabric with gun metal ball chain knot bracelet. 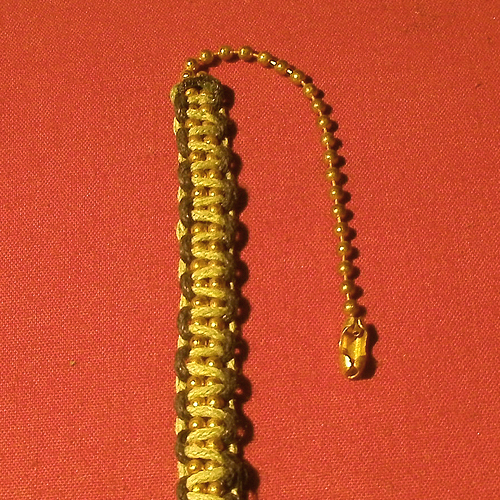 Black and green fabric with gold ball chain knot bracelet. 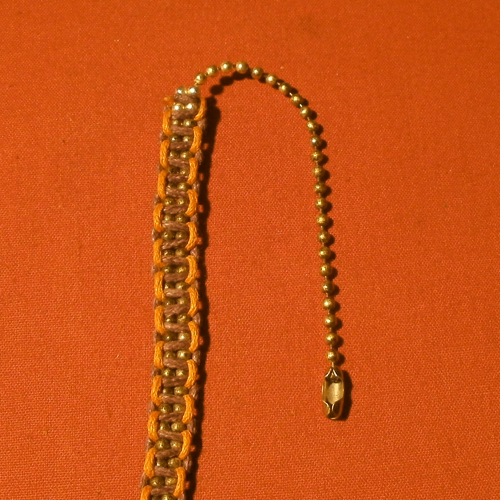 Orange and black fabric with gun metal chain knot bracelet. 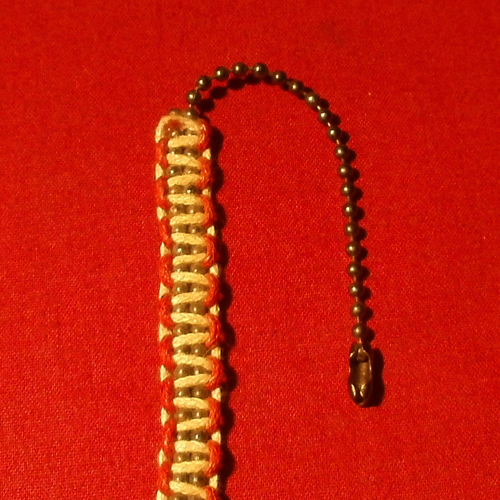 Survival rope knot bracelet of 1 and a half meters+ in red and white. 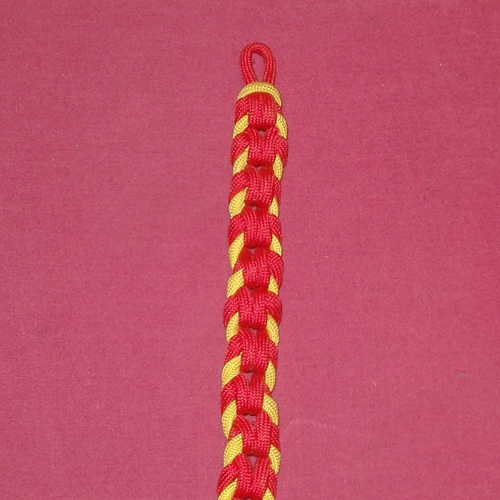 Survival rope knot bracelet of 1 and a half meters+ in red and yellow. 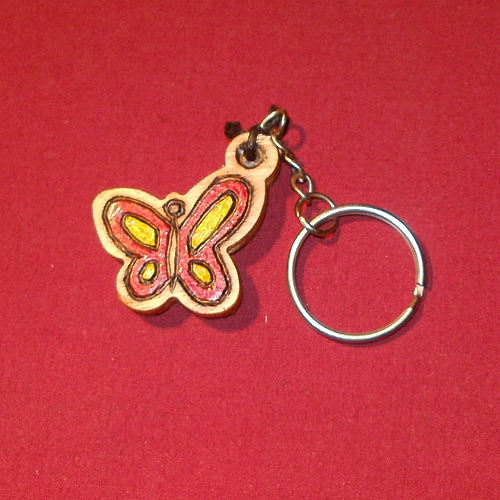 Key hanger that holds upto 5 keys with pyrography, painted and protected with varnish. 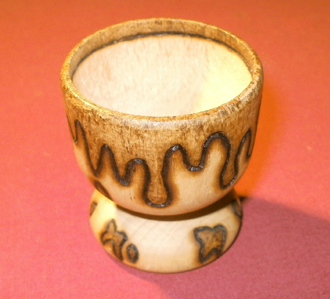 Hand burnt drips using Pyrography on a wooden eggcup base after applying wood stain.